The author aims to inspire readers to follow her example of radical hospitality that reaches out to family, neighbors, and complete strangers. The book is packed with personal examples of how this kind of Bible-saturated hospitality can invade a willing home. The theme of biblical patriarchy stands in the background yet provides the fuel for the larger theme of gospel-driven hospitality. 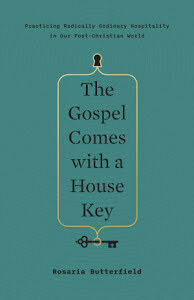 The Gospel Comes With a House Key is a challenging, thought-provoking read that will prompt many discussions and even debates in the days to come. The end result will be a strengthened church whose covenant members commit themselves to demonstrating radical hospitality for the good of theneighborhood as well as the nations. The doctrine of salvation is awash on a sea of Pelagianism and Semi-Pelagianism. Marked by the curse of sin, the image-bearers of God have a need to “earn” their salvation. “Surely, there must be something I can do to merit favor before a holy God,” says the modern man. This false “gospel” is propagated in churches around the world and creates chaos and confusion. The gospel must be proclaimed. God must move. The sinner must respond in faith and repentance. God justifies the sinner. The sinner grows in the Lord over a lifetime. Nelson articulates each of the above points and argues strenuously from the Word of God. One striking thing about this book is the author’s ability to both confront error and commend truth. For instance, he is quick to confront (and condemn) pragmatism, seeker-sensitivity, antinomianism, cheap grace, and altar calls. But he also commends bold proclamation, faithful ministry, and authentic faith which is driven by the biblical gospel. 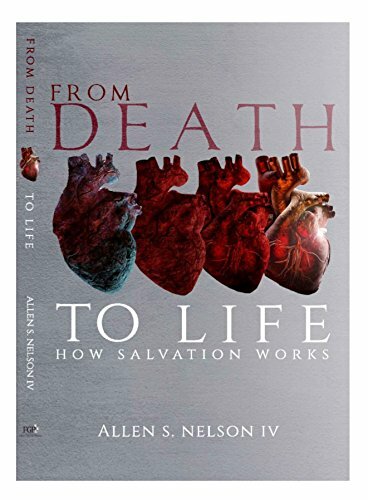 Nelson explains each aspect of salvation with precision and biblical faithfulness. He weaves in the biblical doctrines of total depravity, unconditional election, particular redemption, irresistible grace, and perseverance of the saints in a careful and winsome fashion. Indeed, this is an ordo of salutis for the common man. I commendFrom Death to Life for students, pastors, and Christ-followers who are eager to digest a solid, gospel-centered book that is committed to historical orthodoxy, robust theology, and a soteriological framework which is faithful to Scripture! David Steel writes reviews on his blog, Veritas et Lux at davidsteele.blog. He serves as the senior pastor at Christ Fellowship in Everson, Washington and is the auther of Bold Reformer. Read 312 times	| Like this? Tweet it to your followers!